Warning: Our sound gear failed today so the wind is a bit strong in this one. We can now add being shat upon to the list of violations and abuses endured by the suit. It happened like this. We were hiking in to a remote lodge in Skalanes. 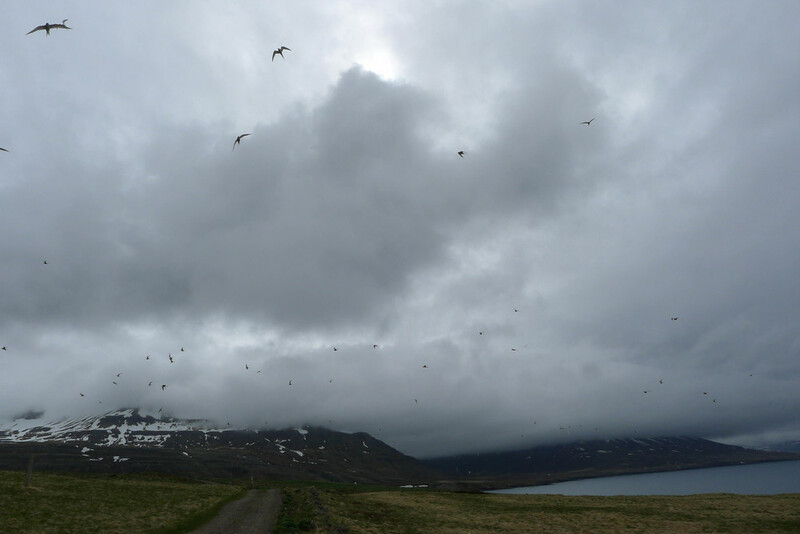 Along the way we were warned that arctic terns were guarding their eggs and might be a bit distraught to have visitors. At this stage in the writing Yvette wants to assure everyone we were on a marked footpath and presenting these fearsome beasts with no danger. Yet the arctic terns had other plans. Savage and filthy plans. You may think yourself manly and self-possessed. But when these chirping, screeching, shrieking, winged and sharp-of-beak menaces begin their dive-bomb routine you are faced with a more primordial set of feelings. These are best expressed in one impulse. Run. We did get some video of the sad event. My favourite section of film clearly shows all composure lost. The camera swings wildly from ground to brush at an angle that definitively shows all regard for filming has been lost in the urgency of escape. 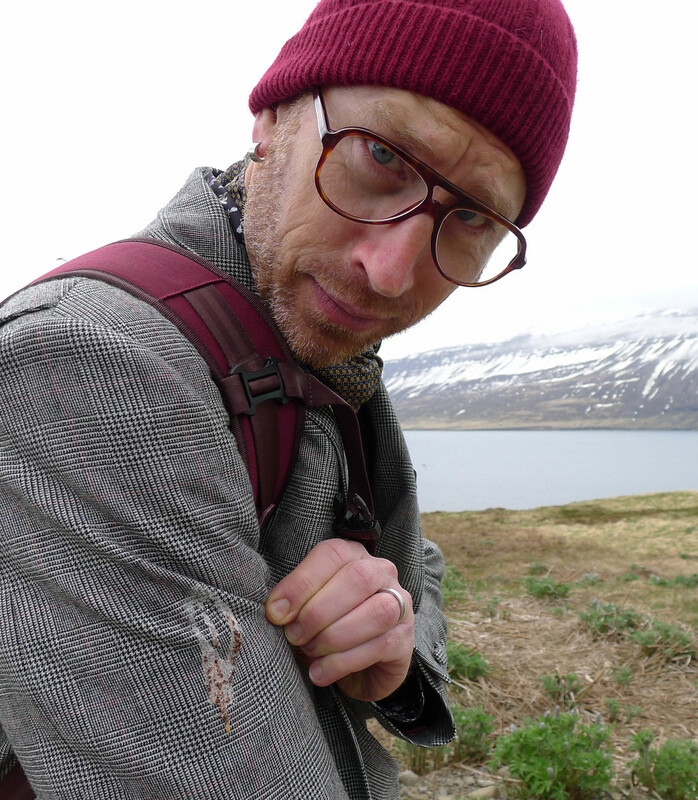 On a peculiar side note I can tell you that arctic tern droppings have a markedly pleasant odour. I rank it well above Patchouli and should I ever have a mind for another career turn (tern?) I may just bottle the stuff and sell it in hipster shops.